Croatia - hotels. Reserve accomodation: hotel, motel, pansion or hostel. Find yourself the best accomodation for certain prize! Spend perfect holidays. 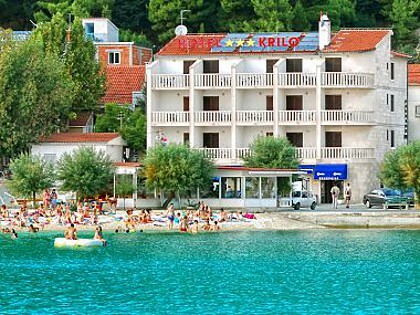 There is a list of places on this page that offer hotels and similar accommodation in Croatia (boarding houses, motels, hostels, apart-hotels). Places are sorted by Riviera and islands which they appartain, being listed from north to south of Croatia. When you click on a particular place you may see the list of hotels. Hotels in a particular places are sorted according to the distance from the coast. You can see the hotel category below the picture, the distance from the sea and the lowest possible cost per person. If you want to see details, photos, prices, descriptions, click on the object image. If you want to book it for a period send us an inquiry. We are open to all issues that interest you. Prices at which we offer an accommodation are lower than if you contact the hotel directly.